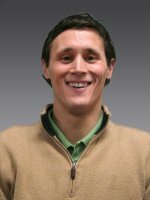 Congratulations to Dr. Nate Engle, who was awarded one of two prestigious 2012 Congressional Fellowships from the American Association for the Advancement of Science. Engle is a postdoc at the Joint Global Change Research Institute, a partnership between Pacific Northwest National Laboratory and the University of Maryland. Fellows awarded one of the highly competitive Science & Technology Policy Fellowships spend a year on Capitol Hill assisting with research, developing and drafting legislation, and providing input for policy review and oversight. Engle begins his fellowship in Washington, D.C., in September 2011. At JGCRI, Engle supports projects on climate policy decision making, adaptation decisions, and intersections between the research community and policy makers. His experience prior to JGCRI was on projects for the World Bank, the Pew Center for Global Climate Change, and as a visiting scholar at the Tyndall Centre for Climate Change Research in the United Kingdom. Dr. Richard Moss, a mentor for Engle at the JGCRI, commented on Engle's appointment: "Nate quickly established himself as a major contributor to our group's work on impacts, adaptation, vulnerability, and resilience. It's a signal and well deserved honor for Nate to be awarded this fellowship. It has been a real pleasure to have him as part of our group this year. We wish him well in this next step of his career." The highly competitive AAAS Science & Technology Policy Fellowships give scientists and engineers the opportunity to contribute to the federal policy-making process while learning about the intersection between science, technology, and national policy. The AAAS program has grown into a partnership with nearly 15 federal agencies, congressional offices and committees, and 30 professional scientific societies. Over 100 fellowships are awarded each year.